Micro-company, VAT not applicable, art.293B of the CGI. The general conditions of sale described below detail the rights and obligations of the company "Lounihu" and its client in connection with the sale of the following goods: ... (The seller must identify the goods subject to the GTS). Any service performed by the company "Lounihu" implies the unreserved acceptance of the buyer to these general conditions of sale. The prices are presented in Euros excluding shipping costs, which are the responsibility of the customer. The company "Lounihu" grants itself the right to modify its tariffs at any moment. However, it undertakes to invoice the goods ordered at the prices indicated at the time of registration of the order. The payment of the orders is done either by PayPal, Credit Card, Wallet, Check or Bank Transfer. Pending your payment, items will be reserved for 10 calendar days. After this time, the order will be canceled. For checks, the order will be shipped 10 days after cashing. In accordance with the Consumer Code Art. L.120-20, the buyer has a period of 7 working days from receipt of the goods to return it at his expense against exchange or refund. THIS IS VALID ONLY FOR NON-PERSONAL ITEMS. PERSONALIZED ITEMS, TAILORED AND CREATED EXCLUSIVELY FOR THE PURCHASER WILL NOT BE REPRESENTED OR EXCHANGED. Items must be returned in their original packaging and in the condition in which they were delivered. Otherwise, the cancellation of the sale will not be valid. Any unauthorized reproduction or use of the texts, comments and photographs used are strictly forbidden. art.4.335-3. Lounihu may not be held liable if the non-performance or delay in the performance of one of its obligations described in these general conditions of sale arises out of a case of force major. As such, force majeure is understood to mean any external event, unpredictable and irresistible in the sense of art.1148 of the Civil Code. Any dispute relating to the interpretation and execution of these general conditions of sale is subject to French law. In the absence of an amicable resolution, the dispute shall be brought before the Commercial Court. Finalize the orders in progress before the closing of the Workshop. The said time will be included in the dates announced to the customers. Créatrice réactive, choix de tissu, top! 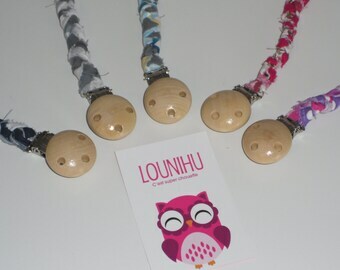 Lounihu is the story of a mother of two children named Nina & Hugo who is passionate about sewing and interior decoration. Lounihu is also a brand that promises to work only from fabrics and materials of very high quality, printed and fabrics modern and original. The range of fabrics and materials "made in France" All my creations are made from materials meeting the "Oeko-Tex" standards in France (sign of quality approved for textiles highlighting their human-ecological qualities and guaranteeing the absence Harmful to the body and the environment). Natural and soft materials in harmony with baby's fragile skin. 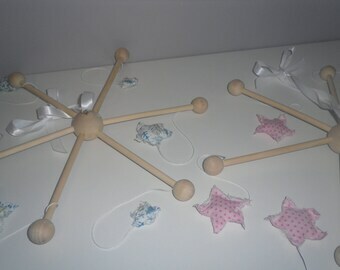 It offers accessories and decorative objects for children. But also for you parents. You can follow me on Facebook https://www.facebook.com/Lounihu/. Create your own personalized gift with the Made Design Baby Home Concept: bib, name cushion, and other nice custom items.